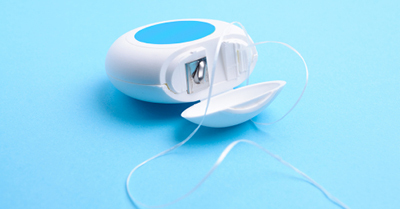 cons behind both of the common flossing methods. No matter which form of floss you choose, what matters to all of us at our Austin dental office is that you’re flossing. Flossing removes the bacteria between teeth that can’t be reached with a toothbrush alone and is a crucial part to maintaining a healthy mouth. So choose the floss that feels best and get to flossing! 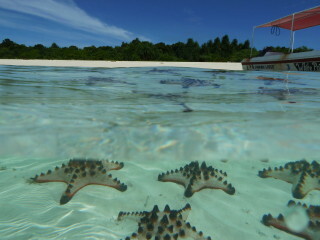 While visiting Belize earlier this summer, my husband and I, accompanied by two close friends were excited to finally get to visit Starfish Island. We had heard wonderful things about the clear blue water, the large conch shells, the plentiful starfish and how the small island was the perfect place to spend our day in Belize. The small, scenic, private island was created exclusively for cruise ship guests to have a nice place to relax and spend there day while in port. A small boat took us about 20 miles from where our cruise ship was anchored and we spent the day exploring the island retreat. There were so many different activities in which you could participate. They had swimming, kayaking, sunbathing, volleyball, live music and plenty of hammocks if you preferred to just rest and enjoy the beautiful scenery. I chose to spend most my time in the water but made sure to visit the area where they allowed you to hold the starfish, lobsters and very large conch shells. After exploring Starfish Island, swimming in the ocean, and resting in the hammocks, we had one last thing to do before returning to the ship. 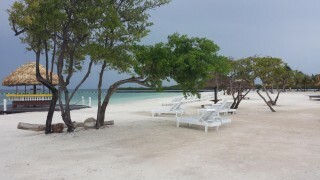 There is a large palm tree on the island that all the guests sign before leaving, and that is just what we did. 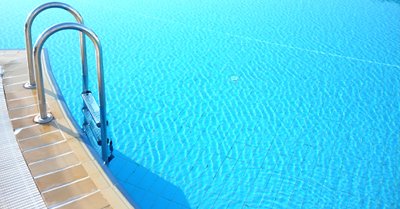 Do you spend a lot of time soaking in your nearest swimming pool during the summer months? We don’t blame you. Kicking back on a raft, playing an intense game of Marco Polo, or swimming laps for exercise are great ways to beat the heat. But did you know that pool water can actually affect your smile? It’s true, and everyone at our dental office in Austin wants you to know how to avoid ill effects from summer fun, poolside. Two of the first clues of a problem are sensitivity and brown spots known as swimmer’s calculus. If a swimmer or chronic pool dweller in your family starts to experience either of these symptoms, schedule an appointment with your Austin dentist as soon a possible. It’s also important to note that those who spend a considerable amount of time in a swimming pool are at greater risk for enamel damage. As always, regular checkups at our Austin dental office are key catching any problems early and treating them before they become large problems.